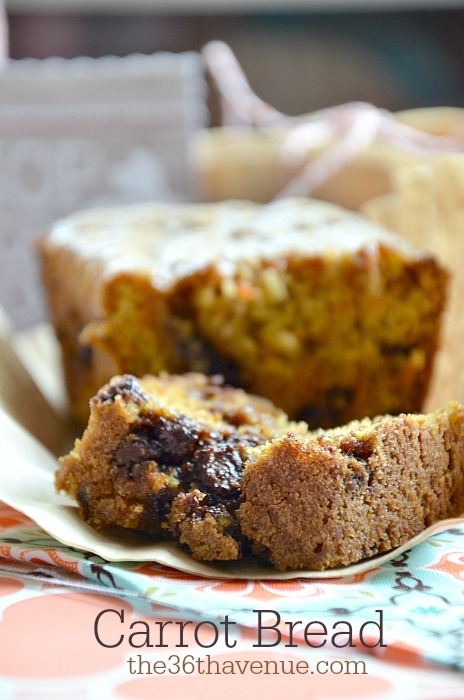 This bread is super moist and the chocolate touch is always a plus! However my favorite thing is the Brown Sugar Almond Glaze. Wrap the bread with a few coffee filters and baker’s twine and you have the cutest homemade gift. Feel free to print our Easter Tags to wish your friends and family a Happy Easter! You can find more sizes and colors HERE. 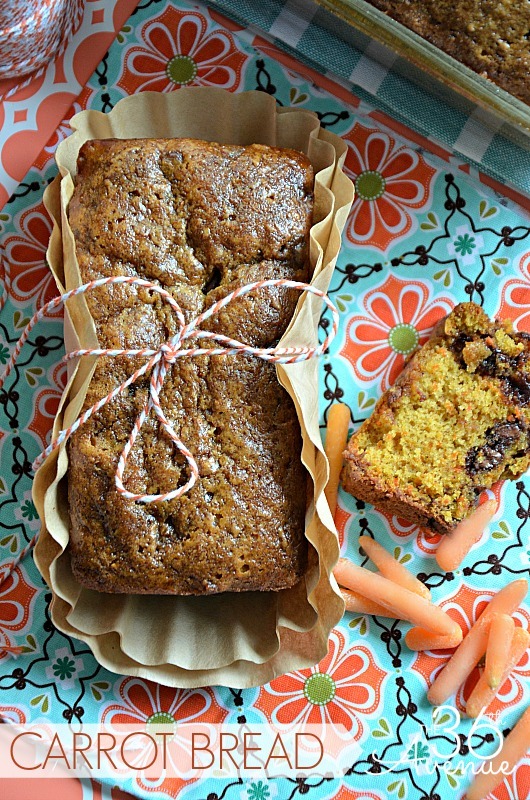 Now that I’ve shared my Easter recipe, some of my favorite creative friends and I are pleased to invite YOU to wow us with yours! 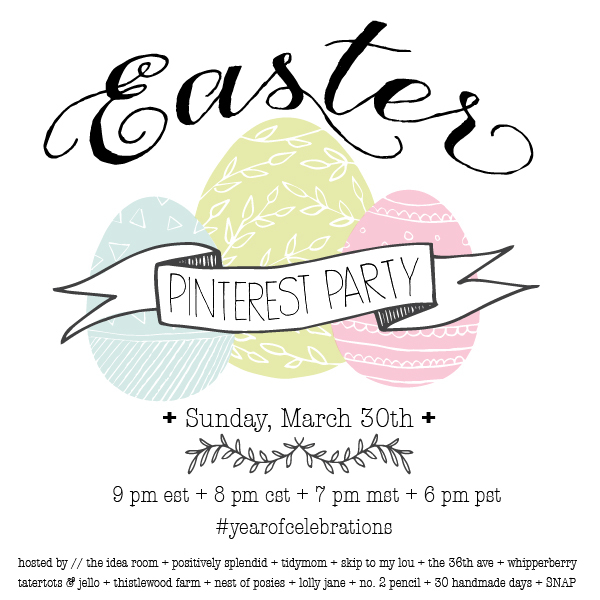 The Easter-themed Year of Celebrations Pinterest party will be held this Sunday, March 30, and y’all are all cordially invited to join in! 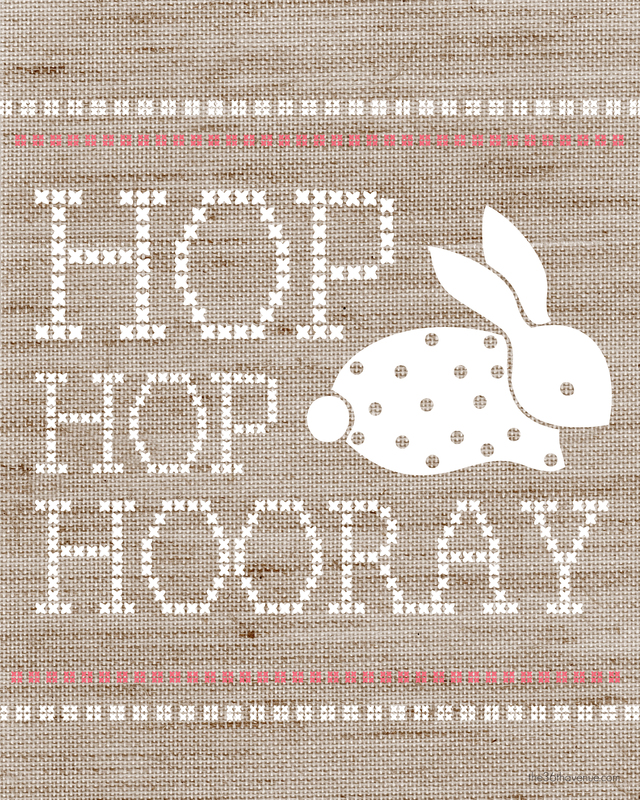 What: A Pinterest Party to celebrate all things Easter! 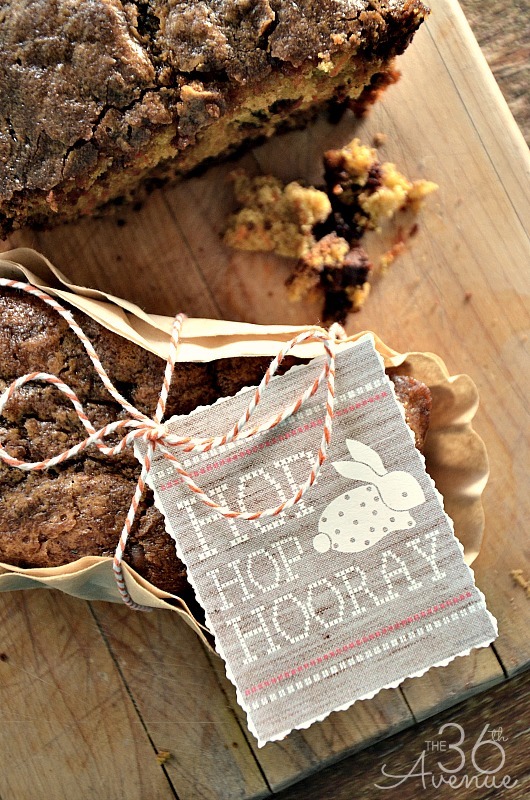 Round up YOUR favorite Easter projects and recipes. Anything goes: crafts, decor, sweet treats, and more! When the party kicks off, tweet YOUR favorite Valentine’s Day project and/or link using the hashtag #yearofcelebrations. Helpful hint: We highly recommend putting the hashtag at the beginning of your tweet to ensure it doesn’t get cut off. On Sunday, March 30, tune in at the appointed time and watch as we build a board full of amazing ideas – including yours! We are so excited to PIN and SHARE all of your amazing projects! Thank you ladies… Miss you both! Such a lovely idea and the bread looks amazing! The coffee filter is genius and so pretty! Looks delicious! Love the tag also! Yummy! I can’t wait to make this! 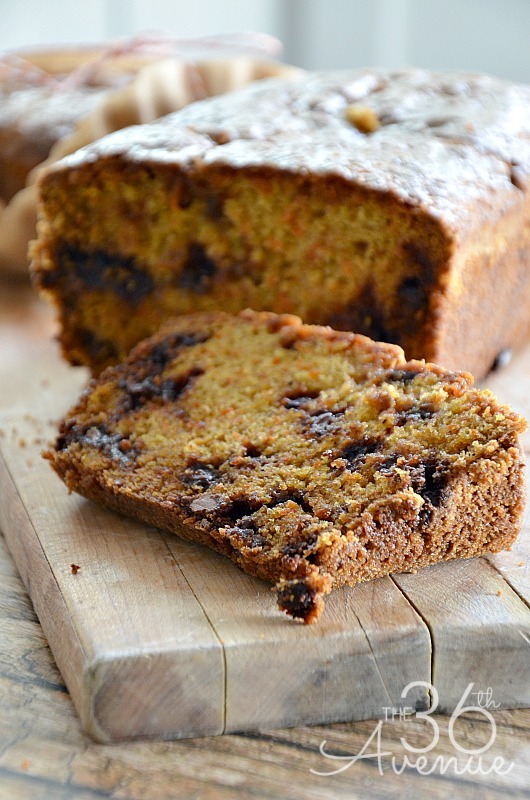 Oh my – chocolate chips & brown sugar glaze – I’m all over that. YUM. Excited to see the Pinterest party – that’s always inspiring. drooling!!! definitely going to have to try this one! !